See scan - perfect condition. No ribbon. 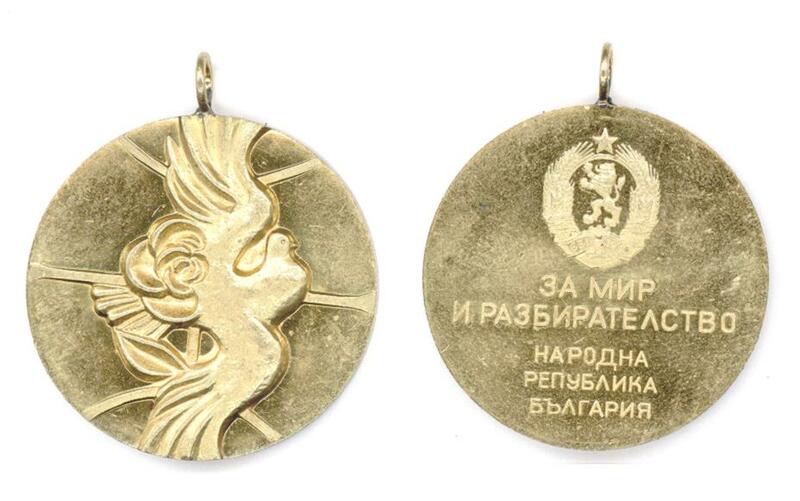 This is a nice and scarce Bulgarian medal awarded to foreigners for Peace and Understanding with PRB Bulgaria. Obverse of medal shows a Picasso like Dove of Peace. Scarce collector piece and one of the rare modern Bulgarian medals.